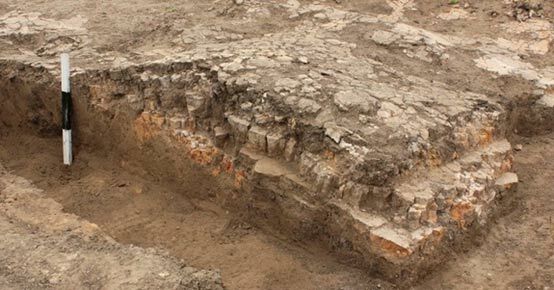 A massive prehistoric settlement has been uncovered in the Ukraine consisting of a large temple, human-like figurines, and animal remains, which dates back to around 4,000 BCE. According to Live Science , the town once covered an enormous 238 hectares (588 acres) and would have contained more than 1,200 buildings and nearly 50 streets. 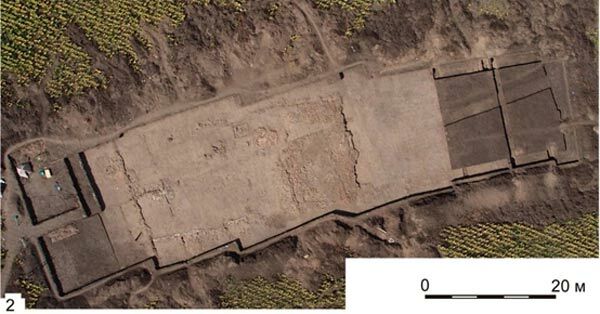 The ancient settlement, which researchers are calling a ‘mega-site’, was first detected by geophysical survey in 2009 near modern-day Nebelivka, but only now have excavations revealed some of its incredible structures and artifacts. The temple was made of wood and clay and measured about 60 by 20 metres (196 by 66 feet) in size. It had two levels and was surrounded by a galleried courtyard. The upper level was divided into five rooms, which were once decorated with red paint. On top of a platform on this level, archaeologists found numerous burnt bones of lamb, which are possibly associated with sacrifice. The lower level of the temple was riddled with animal bones and pottery fragments, and contained the remains of eight clay platforms, which may have been used as altars. The structure and layout of the temple has been likened to other temples of the same era found in ancient Middle East cities, such as those in Anatolia and Mesopotamia. Also within the temple, archaeologists unearthed small gold ornaments, most-likely used in the hair, bone ornaments, and unusual human-like figurines, which are depicted with beak-like noses and unevenly positioned eyes. Fragments of figurines, some of which look similar to humans, were also found at the temple. Like findings at other Trypillian sites, some of the figurines have noses that look like beaks and eyes that are dissimilar, one being slightly larger than the other. 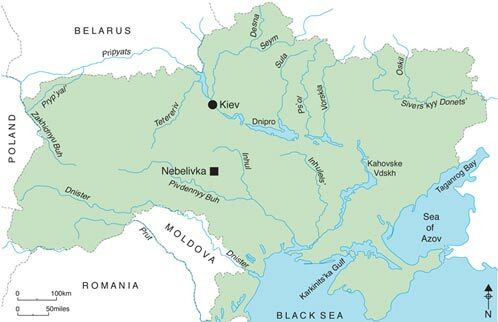 The age and structure of the ancient city, along with the distinctive figurines, link the site to the Trypillian culture (a modern-day name), which is believed to have extended over an area of around 35,000 square kilometers, incorporating parts of present-day Moldova, Romania and Ukraine, between 5400 and 2700 BCE. The Trypillian culture established cities to accommodate up to 15,000 inhabitants, being some of the largest settlements in Neolithic European history. The illustrations on decorative items and other artifacts retrieved confirm that the society was matriarchal and that the people living in these settlements farmed the land using ploughs, produced handicrafts and had a form of religious belief regarding mankind's origins and the afterlife. Researchers have noted that there are indications that the inhabitants of these settlements would burn the entire village every 60 to 80 years and then build on top of the ruins. There is no explanation for this practice, but one location in Romania has as many as thirteen levels of foundations that were built upon. Like other Trypillian cities, the newly-discovered settlement also showed evidence of having being burnt down after it was abandoned. Since you are so smart, please explain why you asked us a question and then did not have the IQ to put the correct answer ????? Perhaps arrogance is the answer ? It amazes me that educated people continue to use the reference of 'the Ukraine". When and what will it take to change this????? the artifact fragments are interesting looking! i always love to hear about a new site! That means a new piece of the puzzle!! Since sanitation and sewer systems were yet to be invented, I think that over time such a city became a center of disease. Burning and rebuilding was a logical solution. Burning the villiage every 60 - 80 years and rebuilding on it is an interesting concept.